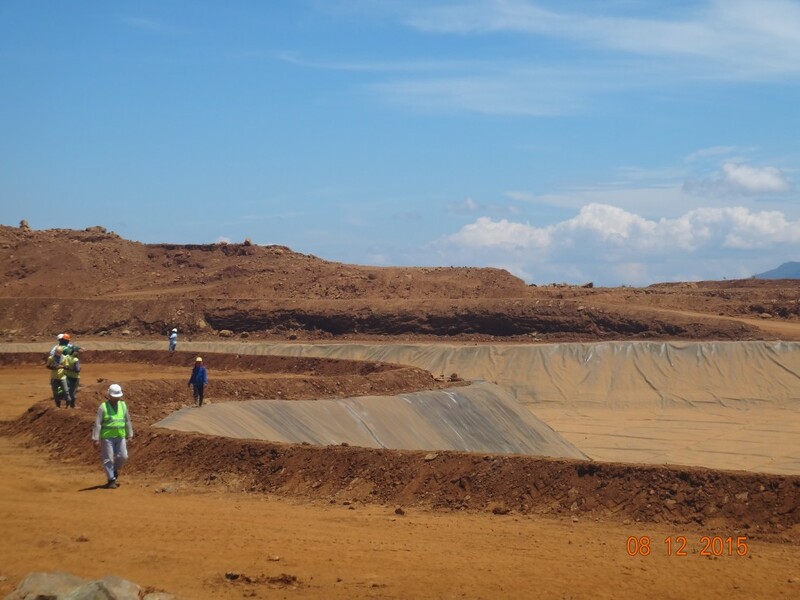 Geomembrane – Fabrimetrics Philippines Inc.
Geomembranes are made of premium Polyethylene (HDPE or LLDPE) resins which are specifically processed. 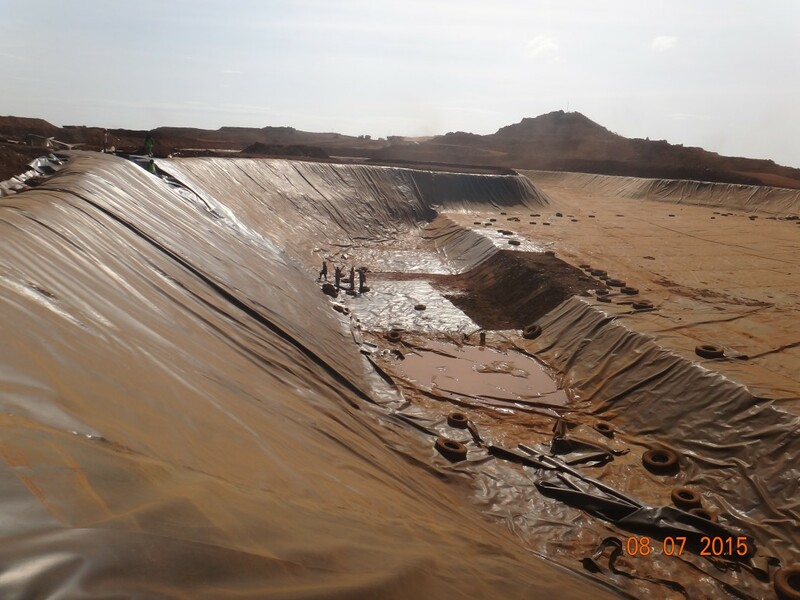 These materials are excellent in retaining water and prevents seepage by creating an Impermeable Liner. 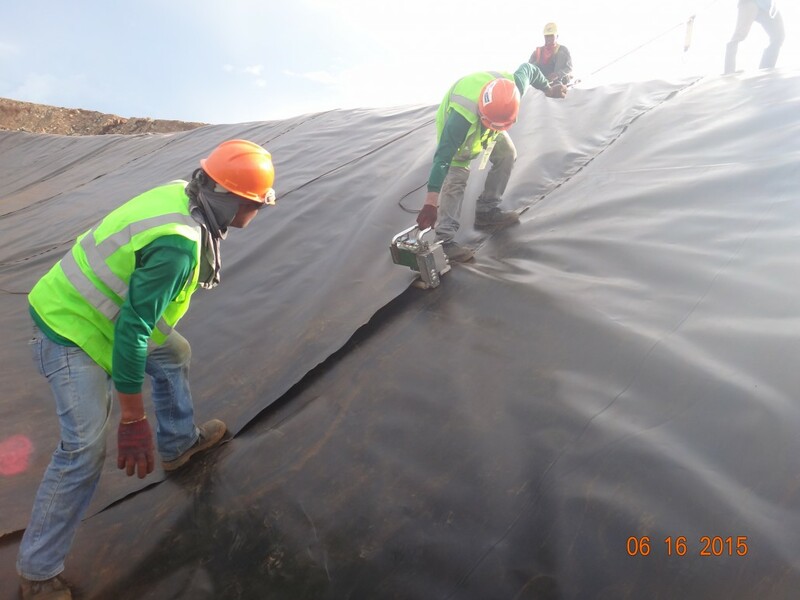 Geomembranes provides an effective and efficient solution for waterproofingSave layer on various applications. This product has a range of thickness of 0.5mm-3.00mm. 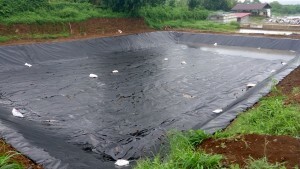 Our Geomembrane or HDPE liner is used for water proofing. 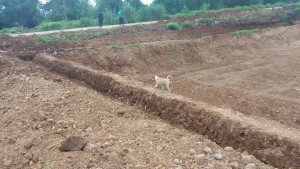 It is made of High Density Polyethyle (HDPE). It is colored black to resist UV degradation. 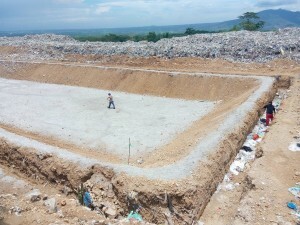 Mostly used in dumpsites, tailing ponds, fishponds, lagoons, mining, and drilling. 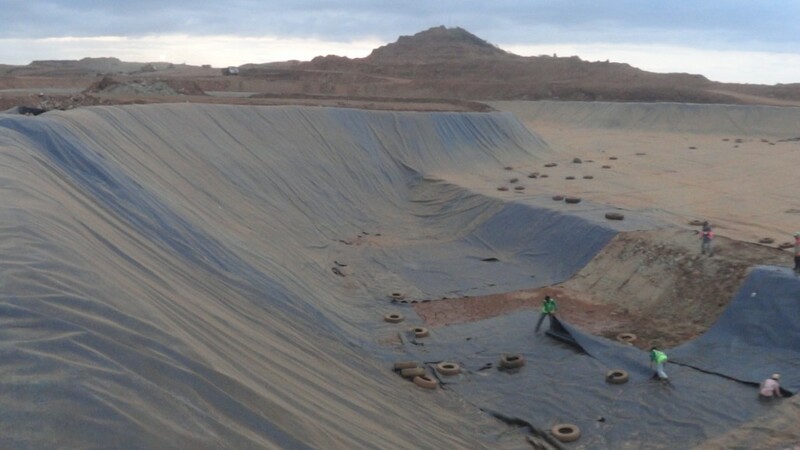 You can choose from a variety of thickness and then we fabricate the liner based on your specifications. 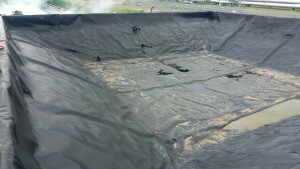 HDPE Liners are a cost effective choice for lining projects that are exposed to sun and rain. 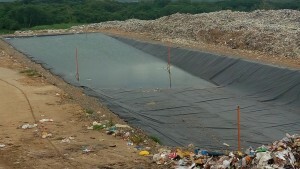 It is used in landfills, lagoons, animal waste ponds and mining, and power plant applications. HDPE requires specialized welding equipment and certified welding technicians to be installed properly. 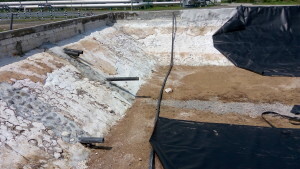 The most common method of securing the liners on side slopes is by means of an anchor trench around the perimeter. A batten strip or an embed channel system is used to attach the liner to structures. Welding is done with hot wedges on long field seams, and extrusion welders are used on detail work and pipe boots. HDPE is delivered to the project directly from the factory in 4 to 7.m wide rolls and is fitted in the field to the design specification. By fusion welding, heat is applied directly to both geomembrane panels by a hot wedge welder with speed control thren a series of rollers fuse both materials together. Extrusion welding is usually done to repairs on the liner material and on T-junctions formed by fusion.